I don’t get a lot of sleep when I’m in Duluth. I’m usually up before sunrise and watch for ships until sunset. On this day I got up for sunrise and drove down to Canal Park. It was obvious there was not going to be a sunrise so I drove down to Rice’s Point. I had been wanting to take some night photos in this area but hadn’t gotten around to it. This is a photo of the Arrowhead and Blatnick bridges. It was the blue hour so I managed to get some photos with a deep blue tint. The Paul R. Tregurtha was loading coal. A bit later I took a photo of the Arrowhead Bridge. 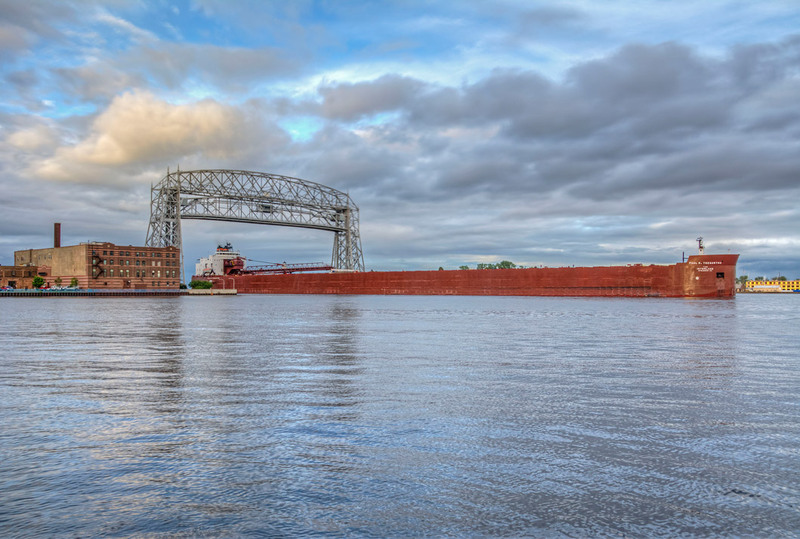 I noticed there were some ships coming into Duluth early in the morning so I drove down to Canal Park to watch. It’s great this time of year because the parking is free. 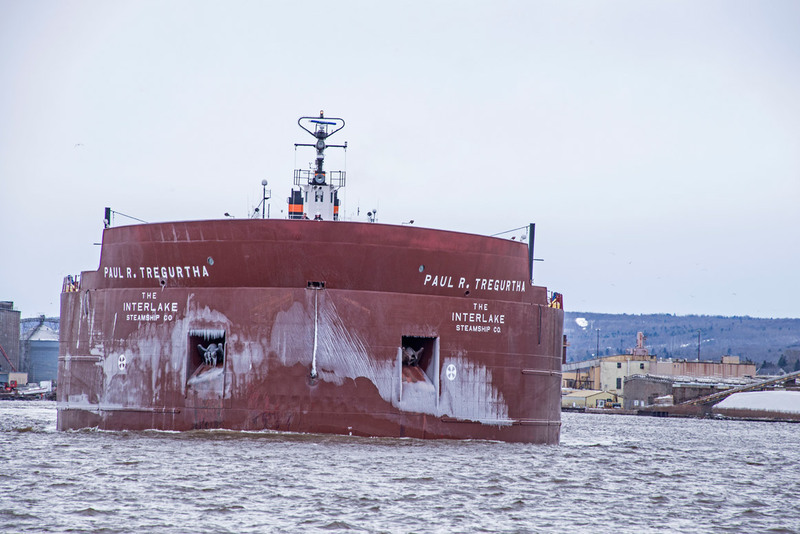 The Paul R. Tregurtha, the largest ship on the Great Lakes, sailed in. 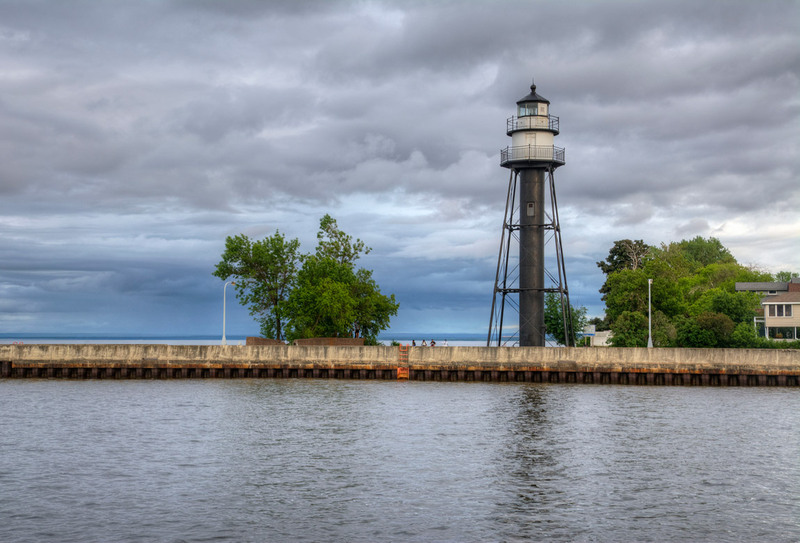 I photographed it as it entered the harbor then decided to drive down to Rice’s Point to watch it sail into the docks. When I arrived at Rice’s Point I checked Marine Tracker and noticed that another ship was sailing toward Rice’s Point. There were a couple of other Boat Nerds at Rice’s point watching the ships. 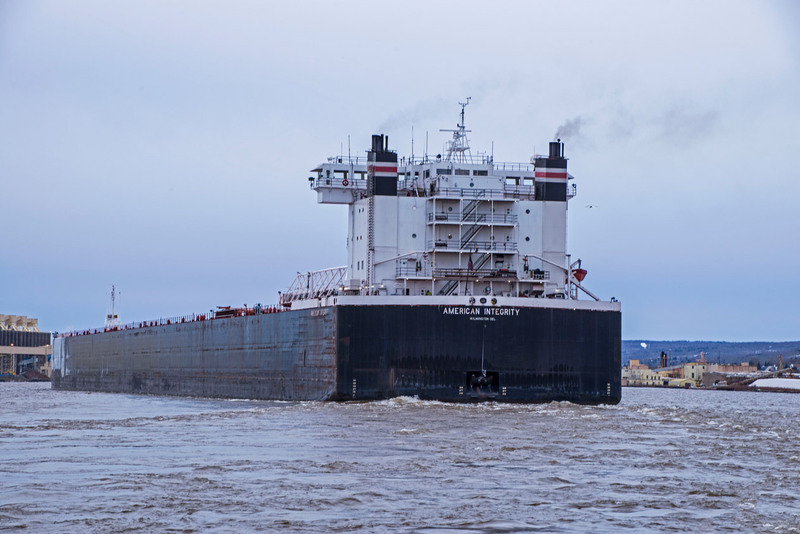 The Mesabi Miner was just making the turn to go under the Blatnick Bridge. The Paul R. Tregurtha had to wait for the Miner transit under the bridge. 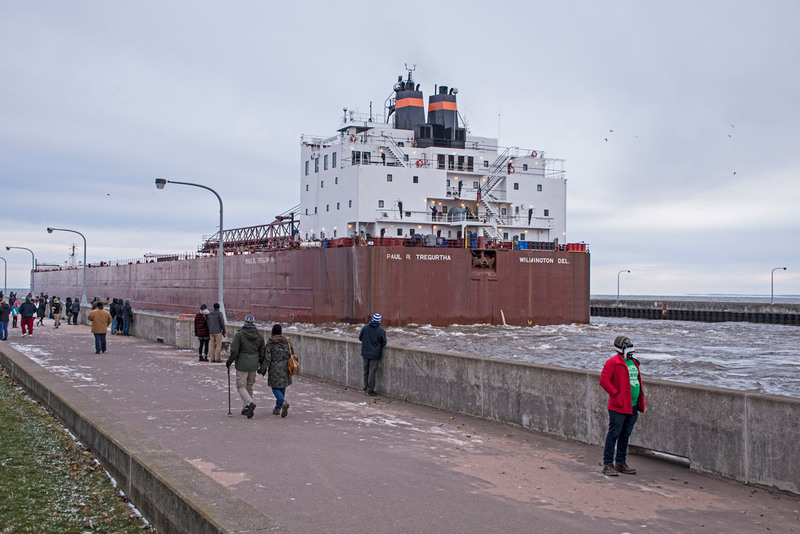 For some reason the ship was going to back up the Saint Louis River to the docks. While I was waiting for the big ships to work their way up the river I took a few photos of the small fishing boats that were heading out into the lake for some Trout fishing. The season just opened so everyone was in a hurry to get out into the lake. As we walked out onto Arrowhead Bridge I noticed a Canada Goose just above my head. The other photographers were over six feet tall and the goose was not happy. It reached down and hissed at them. Apparently it has been nesting there the last few years and has been known to attack passersby. There were also several other Canada Geese nesting next two the Arrowhead Bridge. Once the Miner had gotten under the bridge the Tregurtha started backing up the river. 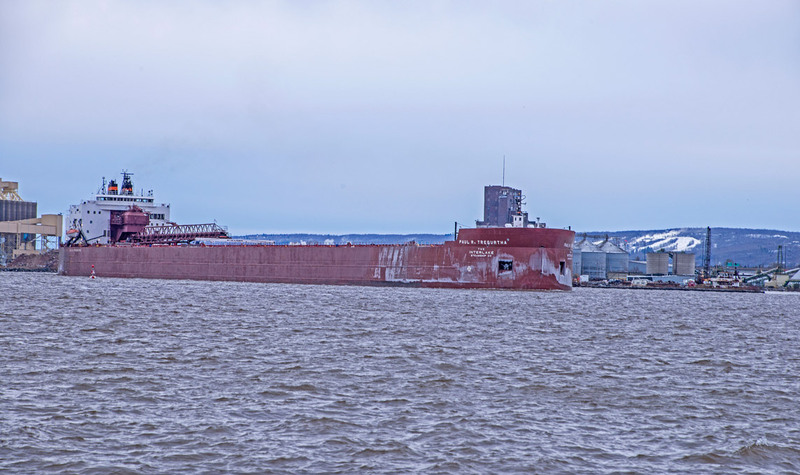 I had walked down to the DECC to take some photos when I noticed the Paul R. Tregurtha moving down the harbor. 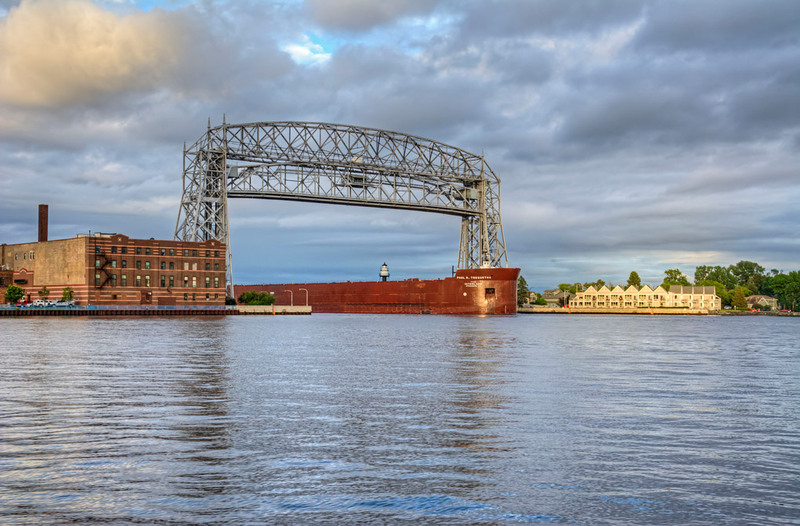 I managed some photos as it sailed under the Lift Bridge. 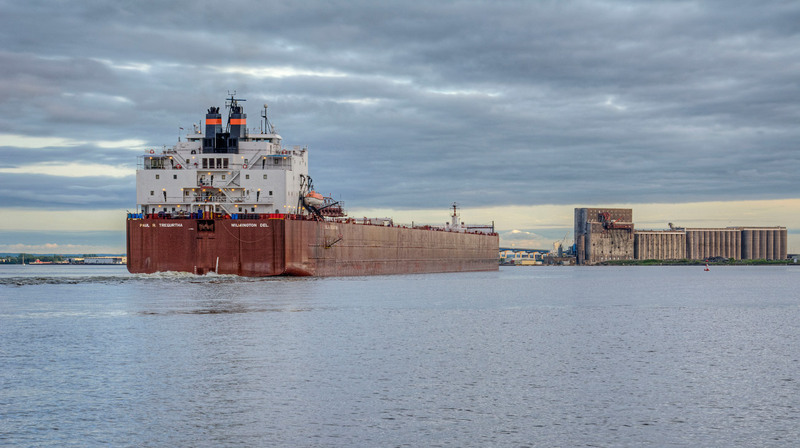 I noticed that the Whitefish Bay was leaving the terminal so my wife and I drove down to Canal Park to watch it leave Duluth Harbor. 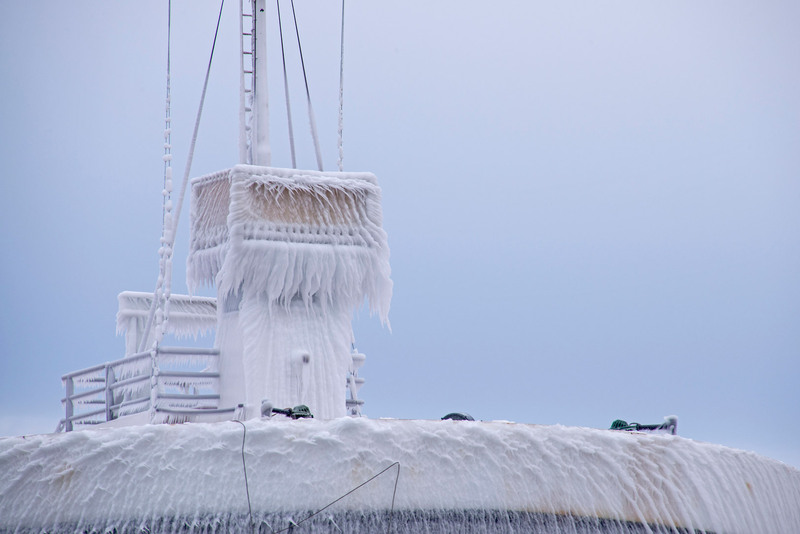 When it made the turn we could see that it had quite a bit of ice on the bow and superstructure. 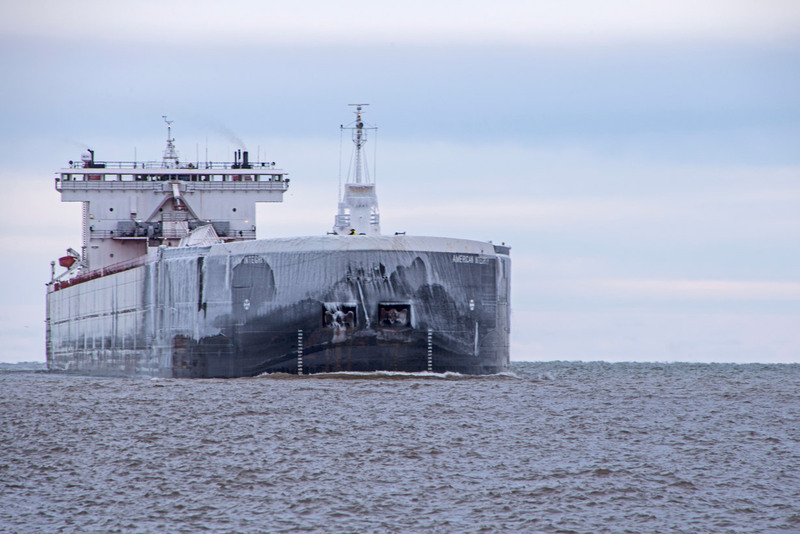 It had been a wild week on Lake Superior.